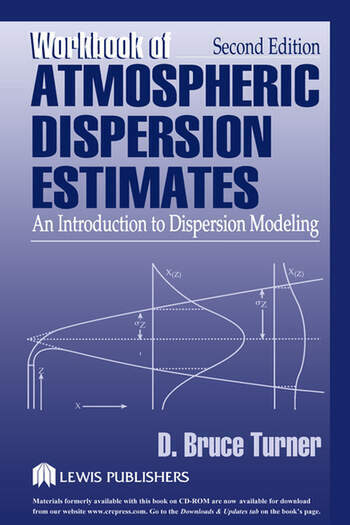 This completely updated and revised Second Edition of the popular Workbook of Atmospheric Dispersion Estimates provides an important foundation for understanding dispersion modeling as it is being practiced today. 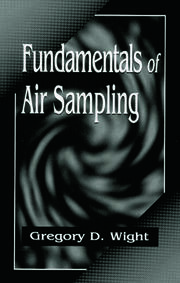 The book and accompanying diskette will help you determine the impacts of various sources of air pollution, including the effects of wind and turbulence, plume rise, and Gaussian dispersion and its limitations. Information is shown in summary graphs as well as in equations. The programs included on the diskette allow you to "get the feel" for the results you'll obtain through the input of various combinations of parameter values. The sensitivity of data to various parameters can be easily explored by changing one value and seeing the effect on the results. 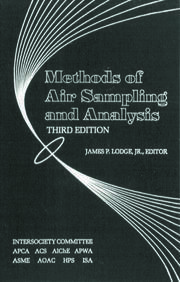 The book presents 37 example problems with solutions to show the estimation of atmospheric pollutant concentrations for many situations. Introduction-How Does the Atmosphere Disperse Material and What Is a Dispersion Model? Estimates of Atmospheric Dispersion. Effective Height of Emission. Special Topics. Putting Gaussian Methods into Perspective. Using Computers for Dispersion Estimates. Use of the Computer Diskette. Example Problems. References. Appendix.